On-the-spot caricature drawing makes for great entertainment at any kind of event. For outstanding caricature and face painting services, turn to Boston Caricature in Massachusetts. 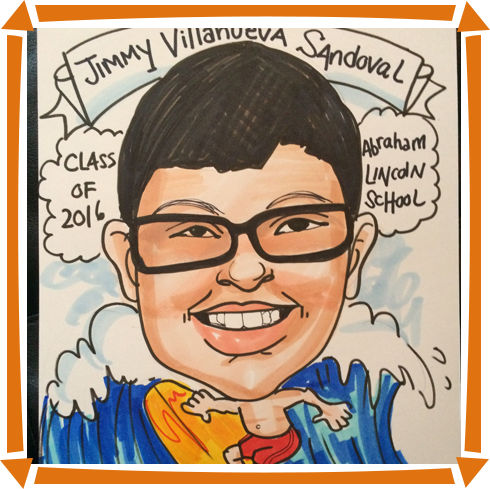 Our artists can complete up to 15 black-and-white or 10 full-color caricatures per hour. We can also personalize the drawing paper with the name and date of your event to make the artworks a special keepsake. Are you looking for caricature and face painting services for your event? With Boston Caricature, you can have both entertainments at your party. Please don’t hesitate to call or email us if you have pricing inquiries or an upcoming event. We charge by the hour. Travel rate may also apply depending on the location.